What Happens When You Put A Group Of Greedy CapitalistsInto A Backroom And Ask Them To Change The World? 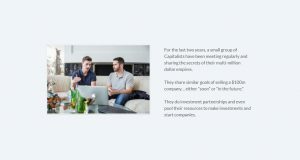 For the last two years, a small group of Capitalists have been meeting regularly and sharing the secrets of their multi-million dollar empires.They share similar goals of selling a $100m company… either “soon” or “in the future.”They do investment partnerships and even pool their resources to make investments and start companies. They hang out with billionaires and book suites at Cleveland Indians games. 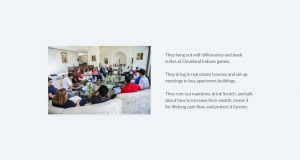 They bring in real estate tycoons and set up meetings to buy apartment buildings. They rent out mansions, drink Scotch, and talk about how to increase their wealth, invest it for lifelong cash flow, and protect it forever. It’s the kind of stuff that would make Bernie Sanders puke. 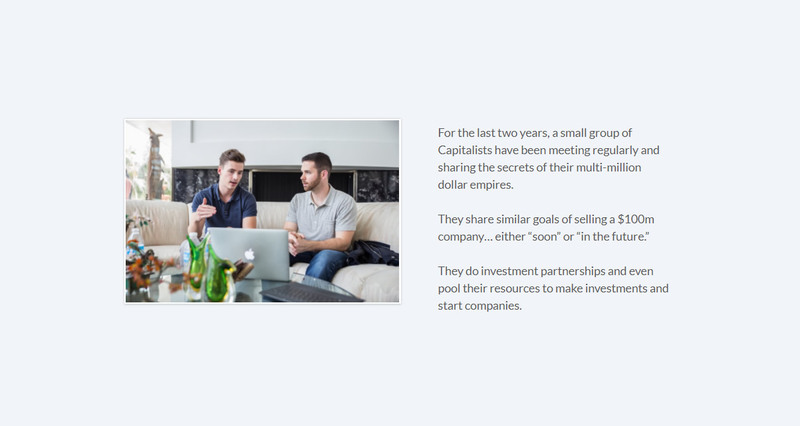 But it’s been happening for two years… and many members have at least doubled their businesses in that time. 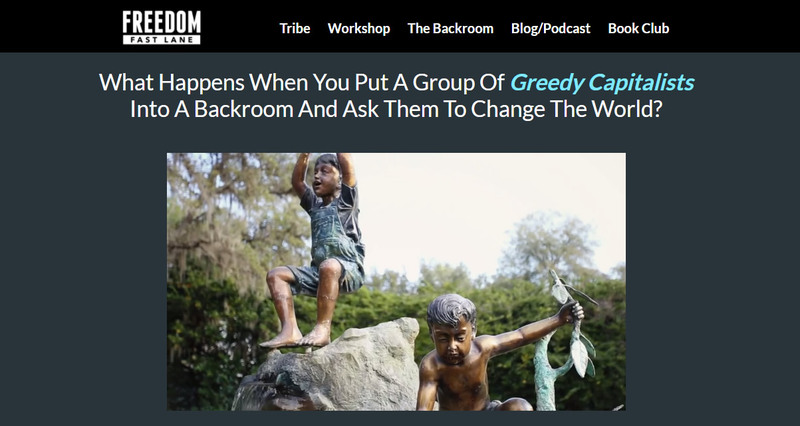 Yes, I’m talking about The Backroom, which is our mastermind group. 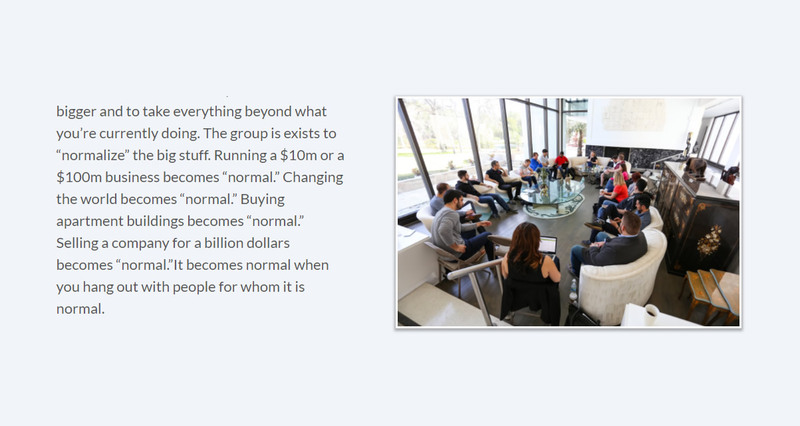 The constant kick in the pants to think bigger and to take everything beyond what you’re currently doing.The group is exists to “normalize” the big stuff.Running a $10m or a $100m business becomes “normal.” Changing the world becomes “normal.” Buying apartment buildings becomes “normal.” Selling a company for a billion dollars becomes “normal.”It becomes normal when you hang out with people for whom it is normal. We bring in some hand-selected facilitators and mentors who have done that before… so it becomes normal FAST.And that’s why the results are there. Our biggest problem isn’t getting people to join or even getting people results. The problem is getting the right kind of people who are qualified, willing to participate and add value… and want to play big. …people who think long-term, are willing to think big, and have a contribution mentality. 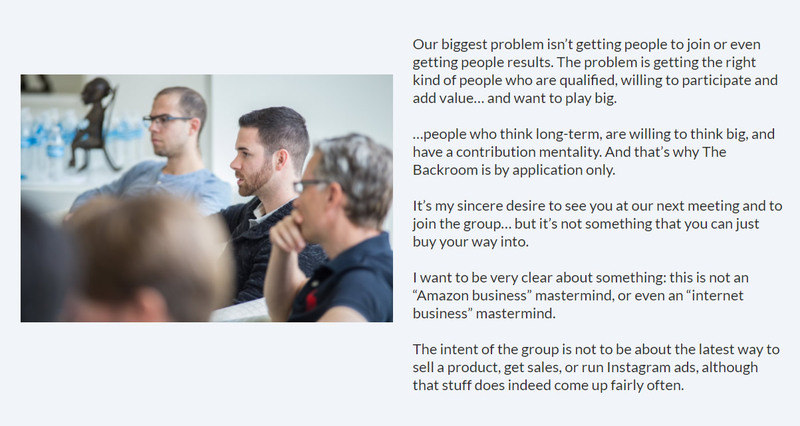 And that’s why The Backroom is by application only.It’s my sincere desire to see you at our next meeting and to join the group… but it’s not something that you can just buy your way into. I want to be very clear about something: this is not an “Amazon business” mastermind, or even an “internet business” mastermind. The intent of the group is not to be about the latest way to sell a product, get sales, or run Instagram ads, although that stuff does indeed come up fairly often.The focus on the group is to facilitate exponential growth in whatever business you run. 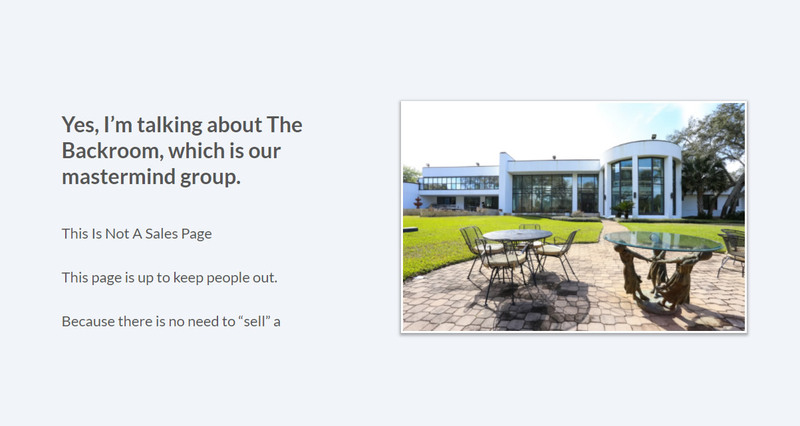 It’s to open up opportunities that wouldn’t exist without the group. It’s to pool resources to make special things happen. And it’s to uplevel people to be something that wasn’t possible on our own as individuals. The minute you step into that group, your normal changes. You uplevel. You’re forced to, because it’s normal for everyone else. I don’t know if that’s good news for you. Some people are happy where they are. They don’t want to be stretched,because it scares them more than it excites them.But if something inside you yearns for more, then I am inviting you to begin this application. Generate at least $1 million dollars in annual business revenue (or approximately $80,000 per month), OR have a net worth of $1 million dollars. You must meet certain business, income, and likability requirements in order to be accepted, and inclusion does not guarantee future acceptance into The Backroom. We do indeed remove people from the group if they are not a fit. 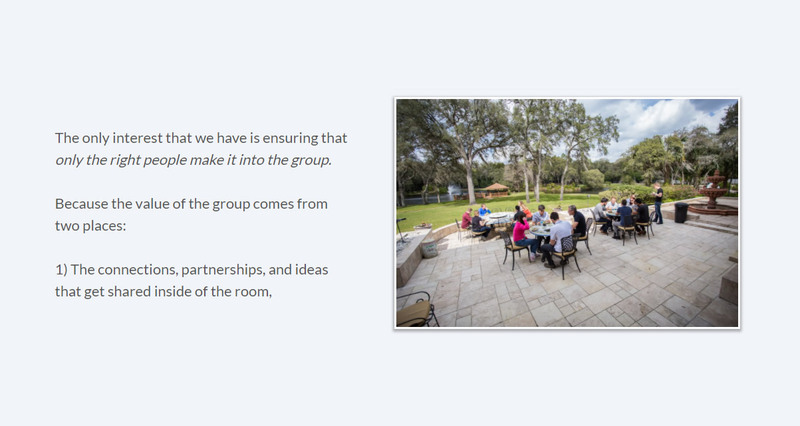 Three (3) in-person mastermind sessions per year. 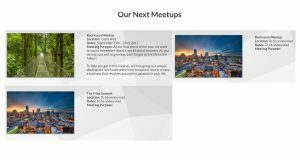 Six (6) Virtual Meet Ups where you will network with other Backroom members. First-in-line access to an extensive list of personal contacts, potential investors, business partners, and introductions to members' extensive rolodex. Free access to all products, training courses, and/or events released in the next year. 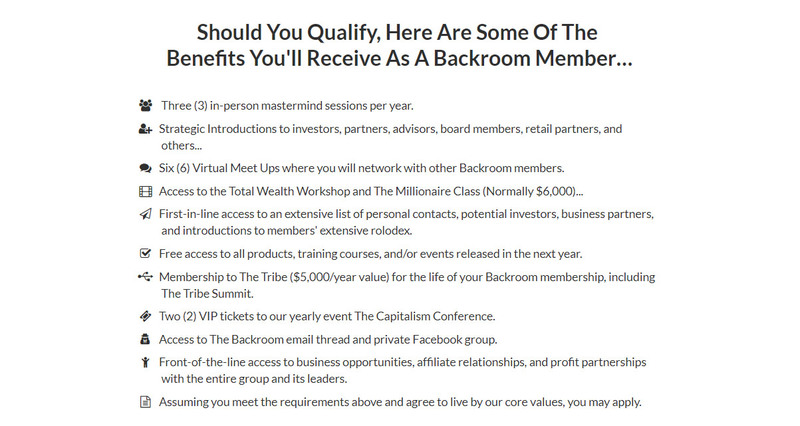 Membership to The Tribe ($5,000/year value) for the life of your Backroom membership, including The Tribe Summit. Two (2) VIP tickets to our yearly event The Capitalism Conference. 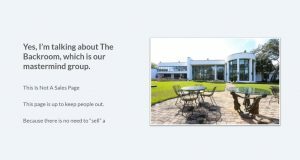 Access to The Backroom email thread and private Facebook group. Front-of-the-line access to business opportunities, affiliate relationships, and profit partnerships with the entire group and its leaders. Assuming you meet the requirements above and agree to live by our core values, you may apply. 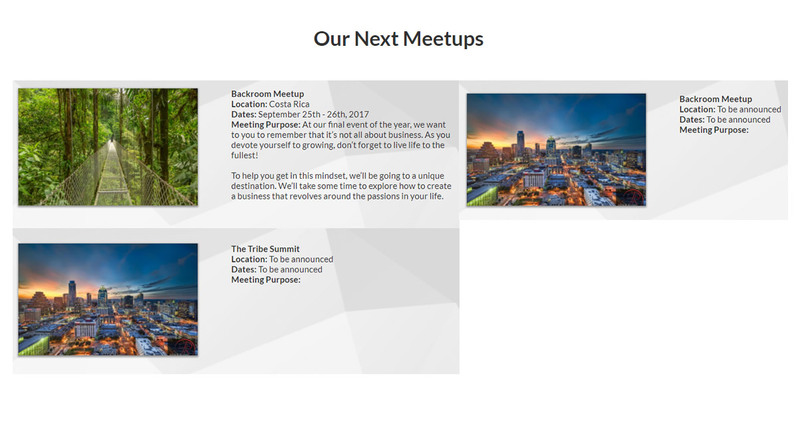 Meeting Purpose: At our final event of the year, we want to you to remember that it’s not all about business. As you devote yourself to growing, don’t forget to live life to the fullest! To help you get in this mindset, we’ll be going to a unique destination. We’ll take some time to explore how to create a business that revolves around the passions in your life. We don't have wiki content for Backroom yet. 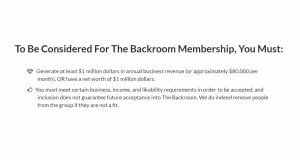 Are you familiar with Backroom? 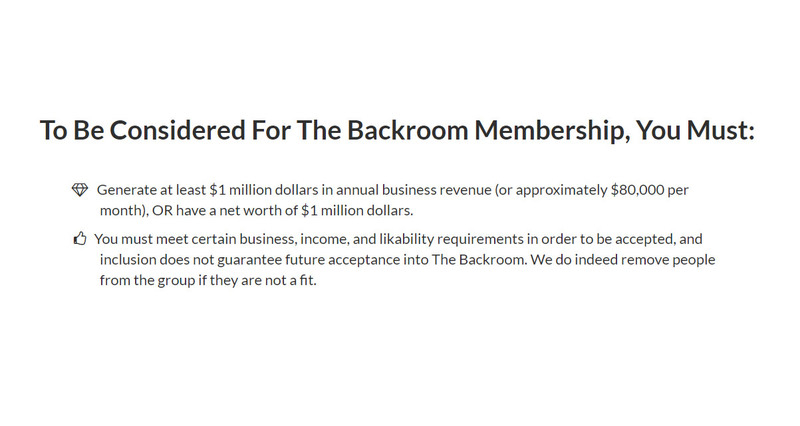 Please quickly share in your own words what Backroom is all about! Share in your own words what Backroom is all about.